We have already got used that the computer and the Internet are becoming more affordable and commonplace things. Many of us prefer to send messages electronically and to communicate with the network. However, the packages we still have to trust the postal workers. Lately, our mail began to work much better, but not so much that we could relax and not wonder: "How to find a lost package?". What to do if you can not get a welcome mail? Try to name the algorithm that helps to find the package. the copy of the receipt evidencing the shipment of the parcel; the identity document such as a passport. In addition, it is better to have a computer and Internet access. First you need to inform the sender. Online stores often prefer to return the money or resend the order, mail they understand themselves. Parcels from relatives or friends, you will have to look for yourself. Ask them to send you a copy of the check, which they received at the time of shipment. If you are sending parcels was compiled the inventory of the contents, it will be useful to her. In Russia, the average parcel going from 5 to 14 days. Overseas parcels can take longer as sometimes delayed at customs. You need to know exactly when the parcel has crossed our border. It is easier to make the sender, who may apply to the postal service of the state. Then you need to know the number of the post ID, which is assigned to any postal item. This number is stated in the receipt given to the sender when mail receives his parcel. 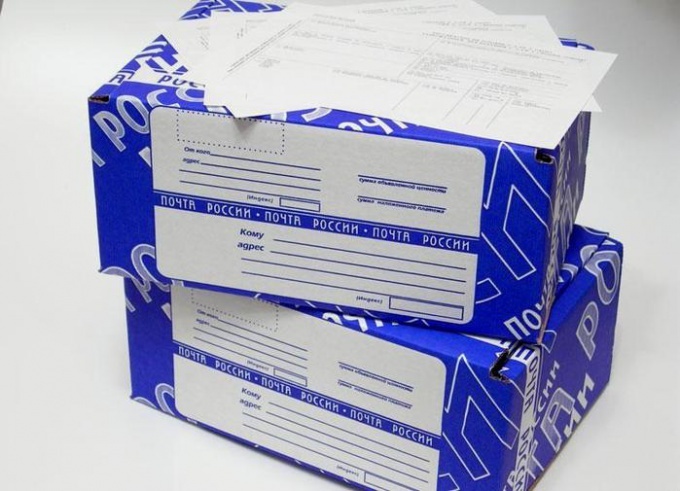 Modern postal service of Russia has a website where there is a service that allows tracking. So, knowing this number, you can track the entire path of the parcel to the destination. You will need two email addresses, is designed to track postal items of different types: for ordinary parcels sent from our country (http://почта-россии.рф/rp/servise/ru/home/postuslug/trackingpo); mail 1 St class and EMS dispatches (http://fcr.russianpost.ru/portal/ru/home/postal/trackingpo). Knowing the ID number, go to the website of the Russian Federation and enter it (without the brackets and spaces) in a special field. For parcels sent from abroad, so need to look in line check “Сustоms fоrm: xxxxx”, where xxxxx is the ID number. Knowing the point where the package disappeared from the postal services, we can boldly go to the post office and write a complaint. In order to have your claim accepted, you must attach a copy of the receipt of the shipment (ask the sender to send you a photo of the check via e-mail or Fax). Also it is better to give a full description of your parcel, describing its appearance and content. The postal service is obliged to investigate your claim. She must either find the package or reimburse you for its cost. If the employees of your mail otherwise shirking their duties, using rudeness and flimsy reasons for refusal (e.g. absence of check copies in Russian language) you can write an e-mail to the address office@russianpost.ru. The theme of this letter - "How to find the parcel." This email address belongs to the Directorate of quality Management FGUP "Mail of Russia". If you are not able to use the Internet, call their Moscow phone 956-99-50. The experience of your fellow sufferers showed that the Agency works quickly, correctly and efficiently. You may be able to find the package, following its own path, in your post office. Sometimes postal workers are not in a hurry to bring the notice to the recipient, as for storage of a parcel that had lain in the mail more than 10 days will be charged a penalty. So it is always better to know the mail ID of the expected parcel. This will help to learn about its arrival at your post office. To make it easy under adverse circumstances to return the cost of lost postage, send it with a declared value and list of contents. For shipping valuable parcels take a higher percentage, but when the loss or damage of such shipment you will get a refund in the amount of the declared value of the shipment. Such compensation is significantly higher than compensation, based on the weight of your mail. In addition, check your package items prohibited for shipment. For sending some of them there is criminal liability.